Alex Witherden isn't great at running. He doesn't particularly enjoy it, either. 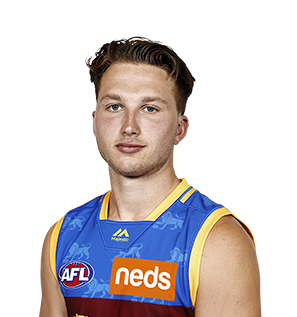 Alex Witherden was taken with pick #23 in the 2016 NAB AFL National Draft. 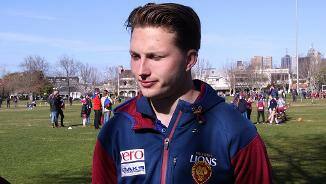 Witherden is known as a prolific ball winner across half back. The 189cm hybrid is good offensively, but is also responsible going the other way. When up and going, Witherden is a poised prospect who can pinpoint passes from the back half and is trusted with the ball. He can direct a game with his foot skills and manages to think smartly through situations. 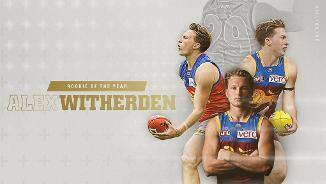 • Alex Witherden was drafted to the Lions from Geelong Falcons’ at Pick No. 23 in 2016. 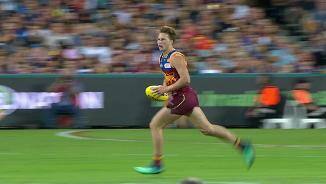 • The season before his drafting saw Witherden elevated to the NAB AFL Academy, but a broken leg in May saw him miss the rest of the season following injury. • The prolific ball winner dominated the midfield in the Lions’ NEAFL team earlier in the year, before earning his AFL debut. • Witherdone got his Senior call up in Round 14 against the GWS Giants where he collected 20 disposals, 12 kicks and seven marks. • The young defender finished as 17th on the 2017 Rising Star Nomination tally and averaged 23.6 disposals, 15.9 kicks and 5.3 marks. • Witherden played nine of the final ten games for the season, only missing Round 21 due to a minor hamstring injury. • In February, Witherdone delighted Lions fans when he extended his playing contract with the Club until the end of 2020.